Cbse 2014 question paper of class10 English, Hindi, Mathematics, Science and Social Science. 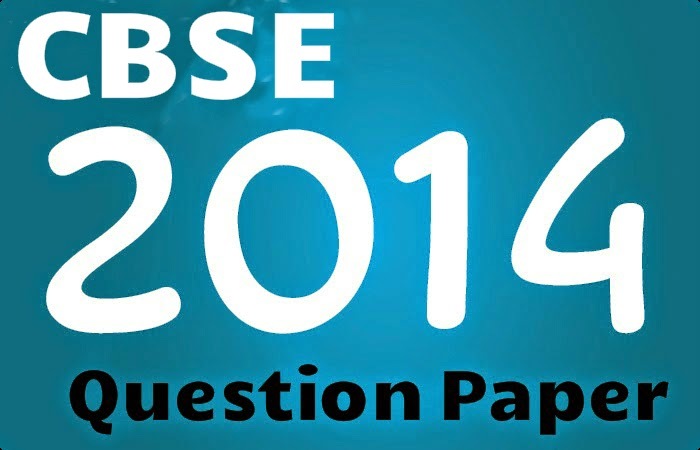 This are the cbse sample question paper for classX of all subject of 2013-14 examnation. CBSE has provied the Question paper for all CBSE students. The sample papers for class-10 are the blue print issued bt CBSE. Cbse smaple question paper of 2014 is very helpful for the students that are appring the exams on 2015. They can see the patten of question paper and can see the marking of the question that have comed on 2014 exams. We have not change any thing in this question paper this is the exact copy of 2014 question paper. We will provied you the Mathematics sample paper of 2014, English sample paper of 2014, Hindi sample paper of 2014, Science sample paper of 2014, Social Science sample paper of 2014. Students can take help of this sample question paper of class10th 2014. CBSE Class 10th sample paper of English 2013-2014.These are sample question papers.This paper are issued by CBSE (Central Board of Secondary Education) which are very useful for the student for there board exams of CBSE 2015.The previous years question paper of English of class 10th. CBSE Class 10th question paper of English 2013-2014.These are sample question papers.This paper are issued by CBSE (Central Board of Secondary Education) which are very useful for the student for there board exams of CBSE 2015.The previous years question paper of English of class 10th. CBSE Class 10th question paper of Mathematics 2013-2014.These are sample question papers.This paper are issued by CBSE (Central Board of Secondary Education) which are very useful for the student for there board exams of CBSE 2015.The previous years question paper of Mathematics of class 10th.